If a fire broke out on the roof of your dorm or apartment right now, you would have some choices. One option may be to immediately scream, run outside to turn on the garden hose, and begin squirting the blaze. 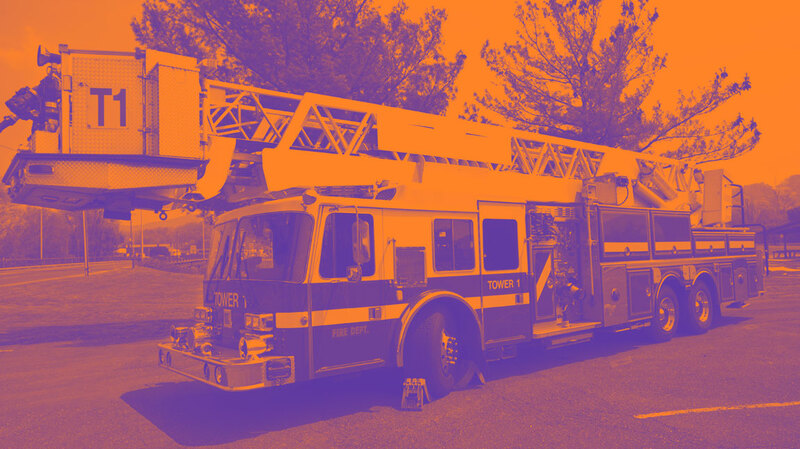 As the fire roars out of control, you might slow down the burning of your building by two or three minutes because of your well-intentioned but meager efforts, but in the end it would be futile. What if instead, you chose a second option whereby, at the smell of smoke, you instantly called the Fire Department to come put the blaze out? Yes, it took five or six minutes for the giant trucks to arrive, hook their huge hoses up, and begin spraying, but they were able to put the fire out and save most of your building. You working solo with your tiny stream of water doesn’t compare to waking up a hundred sleeping firemen to come and pour thousands of gallons of water onto the fire from all angles. You can choose to slug it out day after day on your campus, trying to witness to one here, encourage another there, maybe have a little Bible study or campus meeting, just somehow hoping to “make a small difference” in someone’s life. But what if you were to view your campus differently, with more eternal significance than that? What if, instead of having your lens glued just on that single room, floor, or dorm, you had one eye focused on the entire campus and the other on the world? Your whole perspective would be transformed, and your campus, whether it’s a school of five hundred or fifty thousand, would now be viewed as a launching pad, and every student a potential world changer! I have no doubt you can influence a few on your campus and the world all by your lonesome, but it is so much more effective to raise up one hundred sleeping (literally and spiritually!) students and send them out to have a much bigger, more powerful effect. It’s the difference between addition and multiplication. 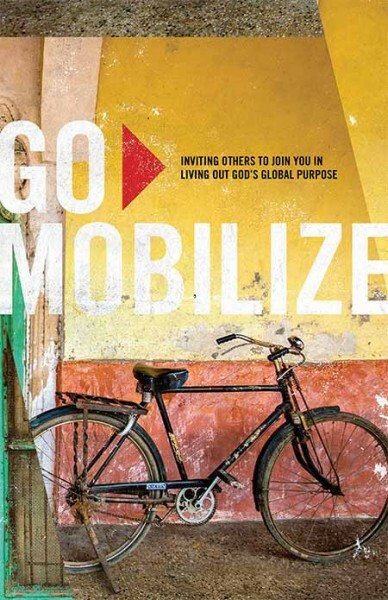 Our ministry has developed a tool we share with students called “The Vision.” Included in this book’s appendix and designed to challenge believers to take seriously the Great Commission, it has been instrumental in recruiting many lethargic (or just uninformed) Christians to get started in becoming a disciple, making disciples, and ultimately taking the gospel to the world. Before we started utilizing “The Vision,” I would challenge believers to become disciples of Christ. Realizing that really wasn’t a big enough challenge to warrant a total commitment of their lives, I raised the bar and began exhorting them to fulfill the Great Commission by making disciples. That was better, but it still was the means instead of the end, and not until I started inviting students to exchange their entire lives to “glorify God by reaching the whole world for Jesus Christ” did I hit the hot button. Dr. Bill Bright was right when he said, “Never in history have so many college students been more ready to receive Christ as Savior and follow Him as their Lord. 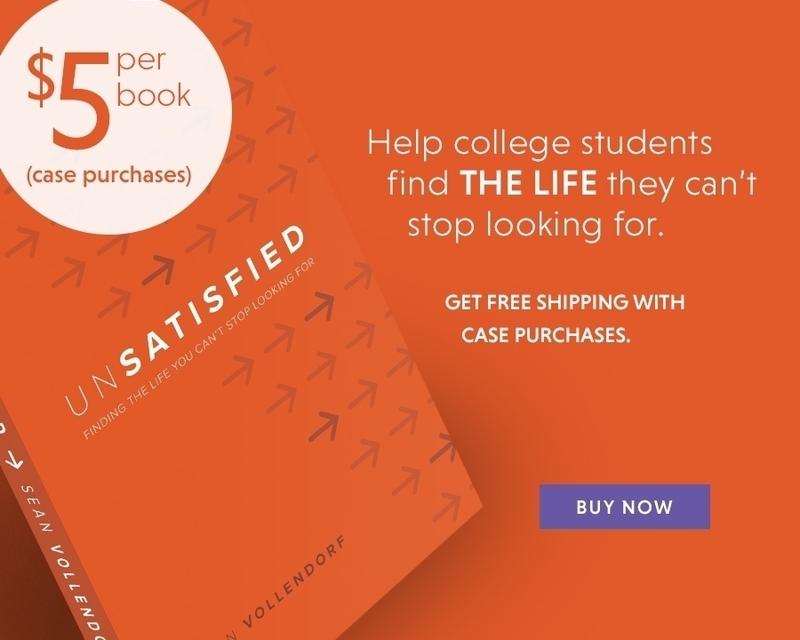 They are waiting to be challenged and led in the greatest revolution in history─the fulfillment of the Great Commission in this generation.” Students are looking for something bigger and beyond themselves to give theirs heart to. The writer of Ecclesiastes, talking about how God has designed us, proclaimed in 3:11, “He has also set eternity in the human heart” (NIV). Don’t challenge students with small dreams. Expand their vision and perspective by showing them their eternal marching orders that call them out of mediocrity to be officers in a worldwide conquest for the glory of God, our great King and Commander, Jesus Christ! Small challenges receive small commitments, so don’t embarrass yourself or the Lord by asking for too little. You see, college students are different. They will go where others won’t. They will believe it can be done when others doubt. They will act on their convictions when others are fearful to step out. They look to the future when others are living in the past. They want to join a team that is going somewhere significant, when others are satisfied with the status quo. They are waiting for someone like you to love them, serve them, look deep into their eyes and say, “Would you like to join me in reaching the entire world for Jesus Christ?” That spark begins in your own mind but then can extend to an entire campus and world if you’ll be the fuel and let God be the flame.